You can start automated trading with only 10 USD as this EA opens lot as % of account capital. My EA is taking care of the opening and closing trades by following the proper money management. 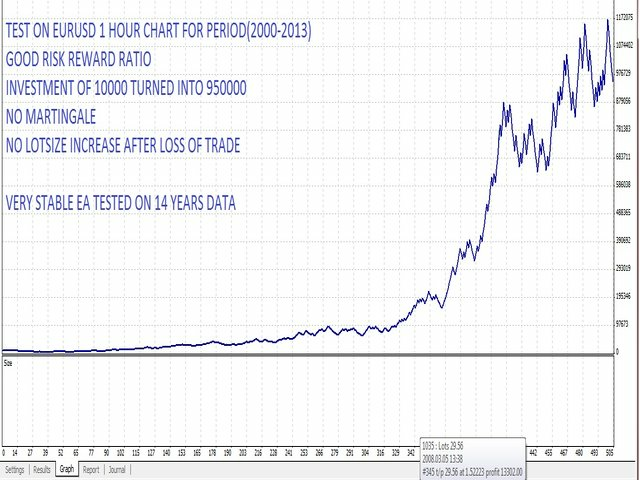 Tested on largest time frame on the period of 14 years. 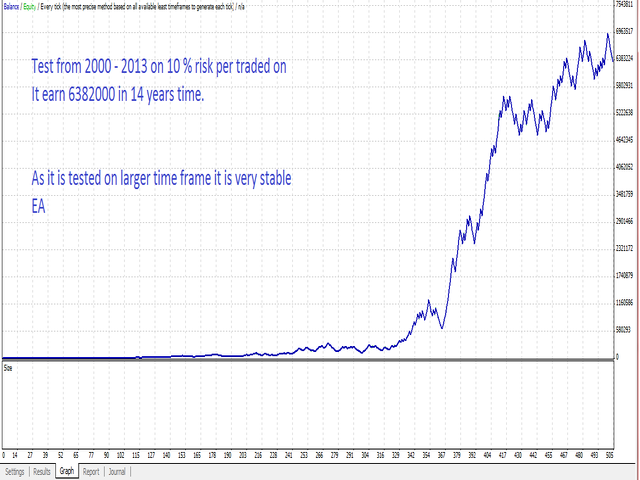 During test from 2000 - 2013 with 10 % risk per trade it earned 6 382 000. It has good Risk reward ratio. It does not use martingale. No lotsize increase on loss. This strategy is prepared for EURUSD pair (on 1 hour chart frame) taking into consideration its characteristics. This EA does not use scalping strategy.